As our 40 Days of Prayer initiative is coming to a close – we want to gather to celebrate, worship and pray together. We’ve been asking God to #surpriseus and prepare us to be a surprise of his hope and grace to our city. So join us in closing out this initiative. 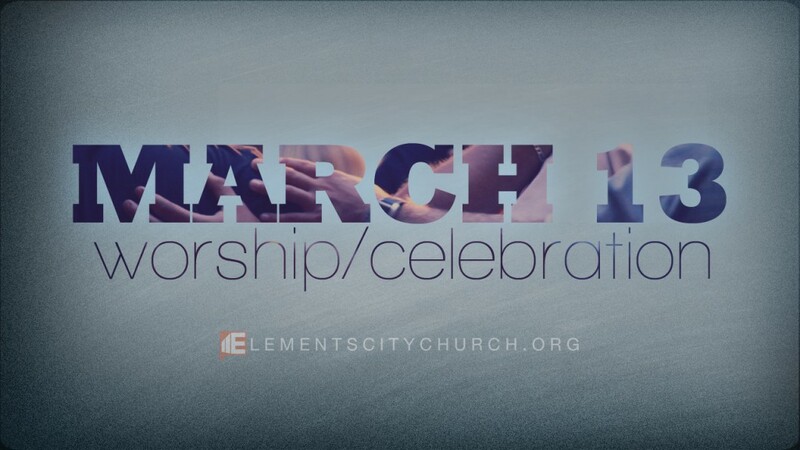 Wednesday Night – March 13th – We’ll gather at Valley Christian Church to celebrate all that God is up to in and through Elements City Church. *Our thanks to Valley for allowing us to utilize their facility. *We’ll have some drinks & munchies available. We know it’s a commitment and we’re asking you to join us for this event in the life of our church. We’ll worship together, pray together, celebrate and share a few stories. Jack and Bryan will be giving an update on where we are as a church and what’s coming. Your whole family is welcome to participate, though please note there will be NO childcare available, so you can take that into account. It will be a great time – we’re looking forward to celebrating and connecting together! Make plans to join us and join in.